Are you bothered by dry skin around the nail bed just a couple of days after getting a manicure? 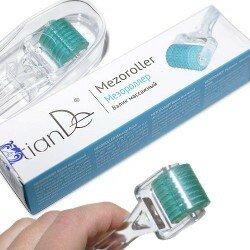 Cuticles look ragged and spoil the view of your gorgeous hands? 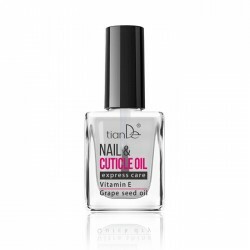 Nail & Cuticle Oil from TianDe will help you fix this problem! The product encourages the regeneration of the skin, moisturizes it, whips the cuticles into shape and cares for the nail bed. Thanks to its content of vitamin Е and grape-seed you’re your nails will always be in perfect shape! Apply to the cuticles and nails every evening and/or morning.